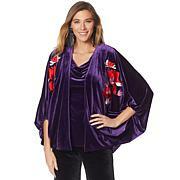 I love N Natori-Good quality Topper at a great price. I did size down one size. Good fit, good fabric and construction.I will wear this a lot. Im in love with this jacket. Quality fabric and workmanship. There are so many ways I can wear and pair this jacket with pieces I already own. I should have gotten one in every color. This topper is gorgeous ! 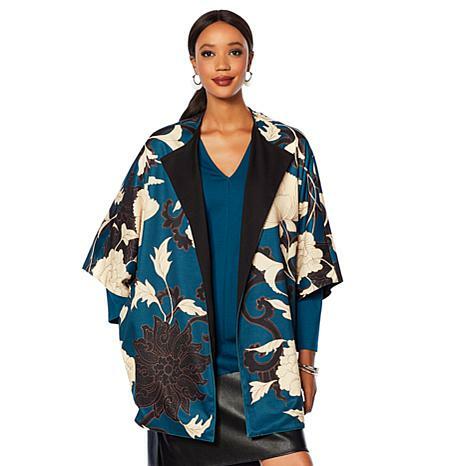 !Natori fashion is so Beautiful.I have several pieces and love them all. Quality, Quality! Feel like a princess in comfortable clothing. Was really excited to get this.Unfortunately, it did not look good on my frame, too boxey for me.Im 58 and heavy set, made me look even wider! LOLGood for a tall, willowy gal, so I would still recommend it for them.